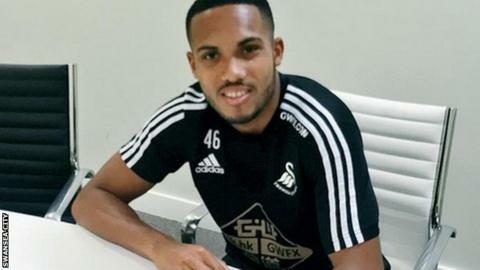 Swansea City winger Kenji Gorre has signed a new three-year contract with the Premier League club. The former Manchester United player made his debut for the Swans in the last game of the 2014-15 season, as an 84th minute substitute in the 1-0 defeat away against Crystal Palace. Gorre, 20, who was born in the Netherlands, said on his Twitter account he was "delighted" to sign. "[I'm] Excited for what the future holds," he said.